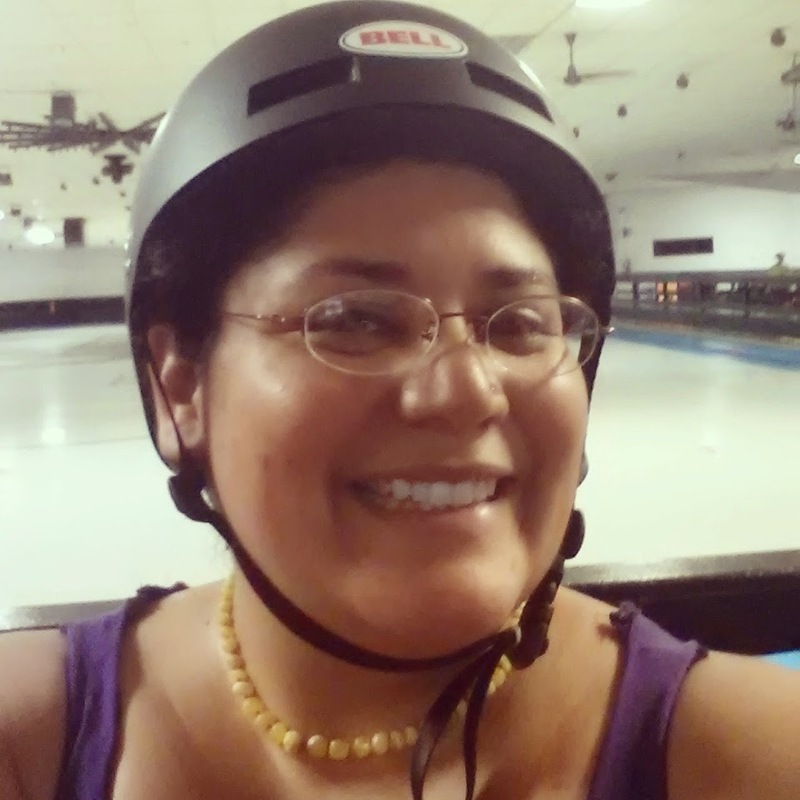 Wheatless Mama: Why my daughter goes to #rollerderby with me . . .
Why my daughter goes to #rollerderby with me . . . I'm a newbie to the derby world. Just yesterday I was telling someone that I had thought children changed everything and then derby happened. Before derby I would have looked forward to going out on ladies nights for drinks and gossip, now I want to get more time on skates. Before derby I coveted clothes or cool looking shoes, now I want gear! So that is all well and good but what does it have to do with GymGirl? GymGirl loves to go to derby. She has made some incredible friends, other derby daughters. She loves going to see her friends and she loves to cheer her momma on. The second part is the big reason I want GymGirl to see me at derby. She can cheer me on. I'm 100% in my girl's corner. I'm there cheering, videoing, being as supportive as possible while GymGirl does her thing. Derby gives her the chance to do the same for me. GymGirl sees me being strong, being weak, pushing hard, being pushed hard, working out, supporting other women, cheering other women, and the list goes on. GymGirl knows I can't do everything at derby. She sees me struggle and that is okay. Struggle is a real part of life. In the real world, the moms are strong and never let their children in on mom's struggles. My daughter see me, all of me. It is scary to be that raw with GymGirl. She has seen me take some nasty falls and get back up. GymGirl has been on the side of the rink cheering and yelling "Go Momma Go!" We go roller skating a few times a month now. GymGirl can not wait to be 7 and join Jr. Roller Derby. GymGirl wants to be a rollergirl. Derby has made GymGirl a better gymnast. No more "I can't" instead I get "I just have to work a little harder." She stops my negative talk and I stop hers. We push each other to be better at the sports that we love. Women do not often get to be in truly supportive groups. It seems that in any group of women there is some competition going on, who is most successful, who got laid the most, who is the prettiest, who can run the longest, and so on. In derby, we don't have time for that. I want each girl in derby to do her best and she wants the same for me. If we stop to focus on who is the prettiest we are going to have our asses handed to us by the opposing team (even when that team is just our fellow roller girls). GymGirls see women working together. I feel like my best self at derby, even when I am on the rink floor wanting to vomit. I want my daughter to see me at my best self, feeling like my best self. I want to be someone she looks up to. I want to be a hero in my daughter's eyes. I might be a hero to her without derby but at derby I feel like a hero. If I want my daughter to grow up knowing that she can be her own hero then I have to model that to her. I derby for me. Derby is for me. Derby carries to just all other areas of my life. After derby I keep that best self around. Other people get to see me too. I want my daughter to know she has the right to do something just for her. I love having her at derby. She loves going to derby. Maybe one day she'll be a roller girl herself but even if she doesn't choose that path, I know seeing her mom being strong, being beautiful, being weak, being her best self, will help GymGirl feel being her best self is normal.